It’s that time of year where ‘voting’ is synonymous with our everyday vocab and is also the theme of every mainstream news media outlet across America. All monkey suits, hair barrels, deleted emails and unpaid taxes aside–this particular contest is way more fun. I mean WAY more fun and goes towards an amazing cause. 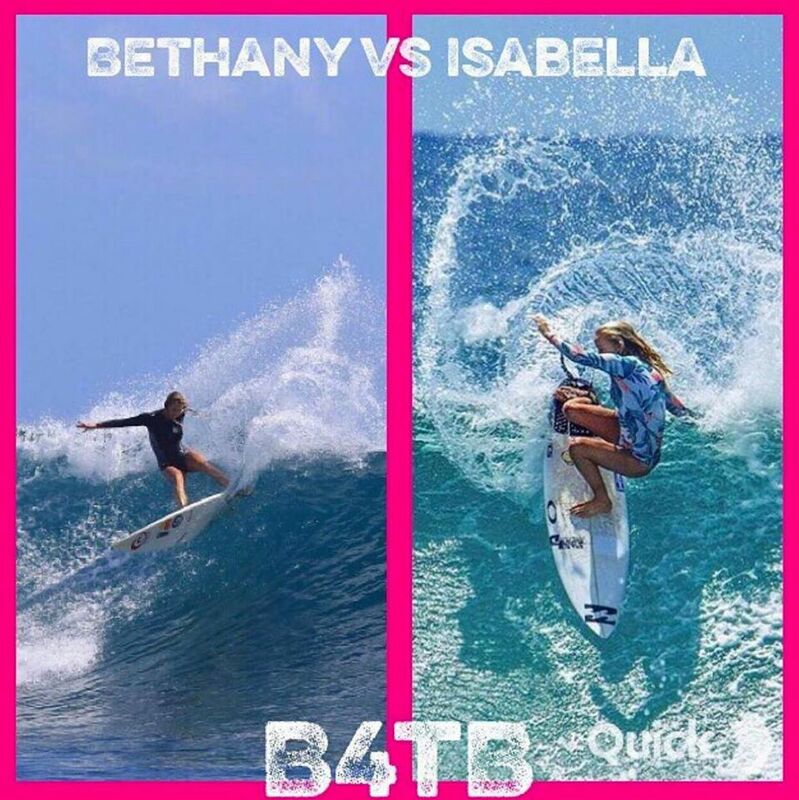 –>October is Breast Cancer Awareness Month and in honor of this month, the Mauli Ola Foundation is featuring their third annual Battle for the Breasts (#B4TB) online surf video contest on Surfline’s potent platform. Sixteen professional women surfers are paired with 16 cancer clinics and/or foundations. Each surfer will submit their top video clips to Surfline every Tuesday morning in October for a chance to win their clinic/foundation up to $125,000 in hereditary breast cancer testing vouchers, which are donated by Ambry Genetics. FACT: According to the American Cancer Society, it is estimated that 246,660 new cases of invasive breast cancer will be diagnosed in women this year and out of this number, about 5-10% of cases will be caused by inherited genes. Inherited whaaaksdhajkj–you say? Genes are those little letters in our DNA that determine stuff like your eye color, height and other things like that. Genes are passed on from your parents and can sometimes contain a mutation, which can be the cause of good and bad things that might occur in your bod. The genetic testing vouchers can provide women with early detection of breast cancer so that early treatment can possibly help prevent breast cancer’s progression. Click to VOTE for Round 1.